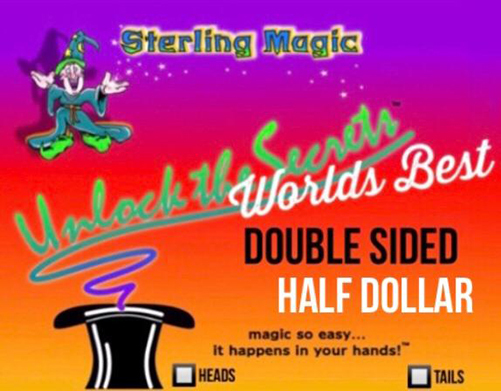 Sterling Magic the World's Most Deceptive Double Sided Coin!! You never lose with a Double Sided coin. Flip the coin into air or spin on table; coin will always turn up the winner.